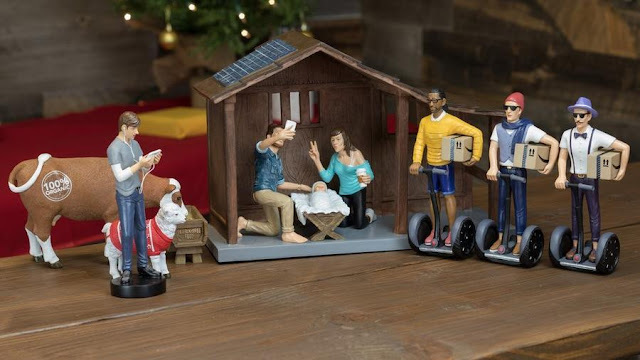 The pictured plastic scene is selling from Modern Nativity for $130. And is apparently such a hot commodity that the company is limiting units sold to 3 at a time. It’s been touted as the “coolest nativity of the year”- the birth of Christ brought into the age of iphones and man buns. I must admit that I had a giggle when I first saw this picture. I can take a joke. This doesn’t offend me because frankly, “traditional” nativity scenes are highly inaccurate as well (to start with, most of them are caucasian in appearance and many place the wise men at the birth scene). Since we have no actual pictures to go by, every nativity is pulled from an artist’s imagination. I have several of them displayed in my house and I love them. Even in their inconsistencies to the First Noel, they still remind me of the beautiful reason for the Christmas season every time I see them. However…I do think it’s important to acknowledge that our tendency to make God in our own image is the basis of our misguided decorations. The Modern Nativity company asks us to “imagine the nativity in 2016”. But that isn’t all they are imagining. This rendering is clearly taking place in America. But then again, most “traditional” nativities are as well. Envisioning God as our own race or nationality, though, is just the tip of the conceptual iceberg. From the behavior I saw leading up to November 8, some people must believe that God is a card-carrying member of their own political party! I heard claims from both sides that their platform was the spiritual and moral high ground. I have news for you. God is not donkey or elephant! If He was, it would be in the scriptures. And speaking of the scriptures, I see them being bent and stretched by many to fit the description of the God they want to know. Let’s face it. Many of the teachings of Christ go against basic human nature. And rightly so. Human nature is a sin nature. There are lots of things in God’s Word that are hard to understand, so it can be much more comfortable to assume that God is similar to us. But it just isn’t so. If God were anything like me, He would not be worthy of our worship. Now back to the Nativity: What makes the Christmas story beautiful is that God came near. He became human to fulfill God’s ultimate plan of redemption for us all. Jesus can relate to our humanity. 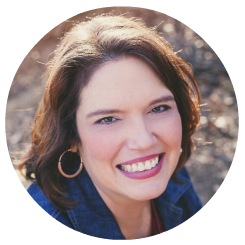 Hebrews 4:15 says, “For we do not have a high priest who cannot sympathize with our weaknesses, but One who has been tempted in all things as we are, yet without sin.” This is good news! But we must never forget that although He was fully human, He was and is fully God. Not like me. Not like you. Here’s my challenge for you this Christmas season. 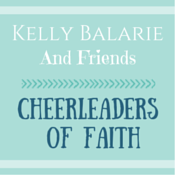 Read the story of Christ’s birth from Luke chapter 2. Don’t just read it. Study it. Look up words or phrases that you don’t understand. Read it from more than one translation of the Bible. See if you pick up on anything new to you. Make sure you know the real story and not an artist’s rendering.